Businesswoman and talk show host, Felicia Mabuza-Suttle, is an international award-winning entrepreneur, an inspirational speaker, an author, and a philanthropist. She is President and co-owner of Leadership Success International, LLC, an organization that specializes in executive leadership training and business communications. Mabuza-Suttle is one of the founding members and shareholders of Pamodzi Investment Holdings. The South African Broadcast Corporation (SABC) also named her among the "100 Great South Africans." 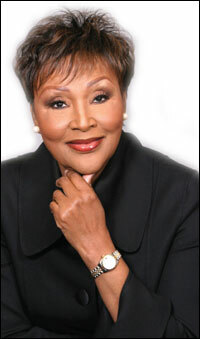 Felicia, as she is known on television, is host of Conversations with Felicia, a talk show on The Africa Channel in the US. 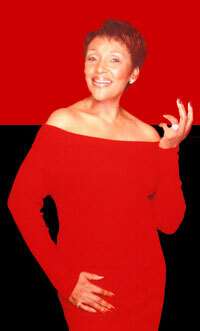 In South Africa, she hosted the popular The Felicia Show. The Felicia Show was the first South African audience talk show that enabled black and white South Africans to come together and debate issues they could not discuss during apartheid. Felicia has interviewed luminaries like Nelson Mandela, Julius Nyerere, Kenneth Kaunda, Archbishop Desmond Tutu, Winnie Madikizela-Mandela, Britain’s former first lady, Cherie Blair, and personalities like Larry King, Danny Glover, Diana Ross, Hugh Masekela, Miriam Makeba, John Maxwell, Iylana Vanzant, T.D. Jakes, Wayne Dyer, Suze Orman, and many others. She is author of Dare to Dream, her memoir describing how she answered Nelson Mandela's call to all South Africans living abroad to come back home to help build a new democracy. Her new book, Live Your Dream, is an inspirational book based on quotes and experiences that will help propel you to your own success. Copyright © Felicia, Inc. All Rights Reserved.